Live a unique experience of total relaxation for the body and the mind through the pleasures of water in a magical atmosphere and finish by relaxing completely with a 60 minute massage. During the 60 minute relaxing massage we work with our AIRE Botanical Elixir Oil* on the whole body, including the front and the back with special attention to the back, arms, legs and feet. This massage ends with a cranio-facial massage with argan cream. 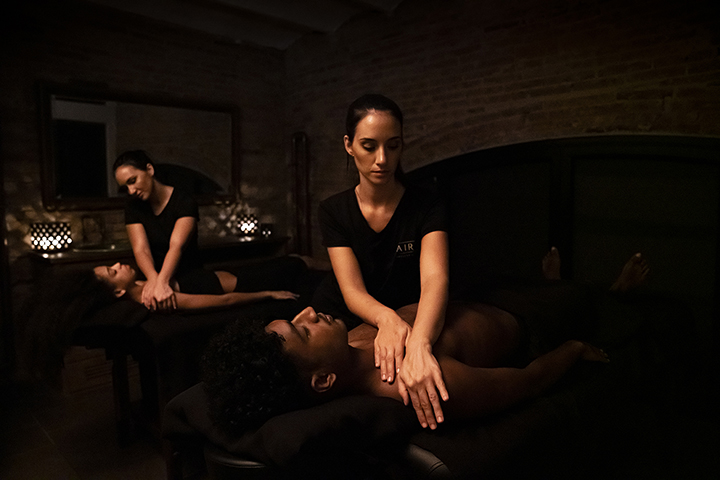 Your massage includes a series of inhalations with essential oils determined by your therapist that will help you enter a state of deep relaxation. *The AIRE Botanical Elixir Oil is made exclusively for AIRE Ancient Baths with a selection of 100 % pure soy, argan, grapeseed, sweet almond, and musk-rose oils. The result is a deliciously perfumed, rapidly absorbing oil, rich in fatty acids, omega, and antioxidants, which give your skin a softer, suppler feeling. If you wish, you can take the AIRE Experience with you. Ask reception for our Botanic Elixir Oil. The beneficial effects of baths with temperature contrasts were widely known by our Greek, Roman and Arabic ancestors. The hot water relaxes the muscles and joint tension while the cold water reactivates blood circulation, tones the skin, and has a reinvigorating effect. The AIRE massage combines different techniques and is specifically designed to achieve a maximum state of relaxation, through slow, deep, and comprehensive movements. Your body is wise and will know when to tell you to get out of the water and move from one bath to another at a different temperature. 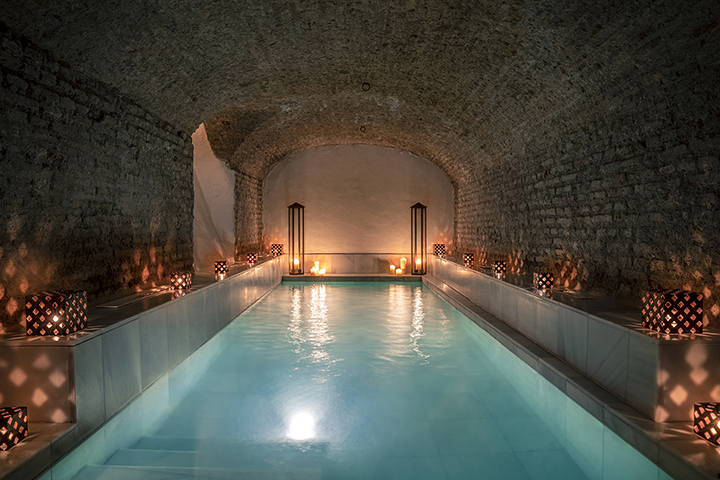 Remember that at any time you can access the relaxation room, where cold water and our special selection of AIRE Tea to keep you hydrated are always at your disposal. If at any point during your massage you feel that the pressure is too intense or too light, please, tell your therapist.